Triton Medical is a family/veteran owned and operated company that has been serving Central and North Florida since 2010 . We offer a vast array of home medical equipment and supplies. Our goal is to offer you everything you need to lead an active life. We strive to provide you with the highest quality products available on the market at reasonable prices. 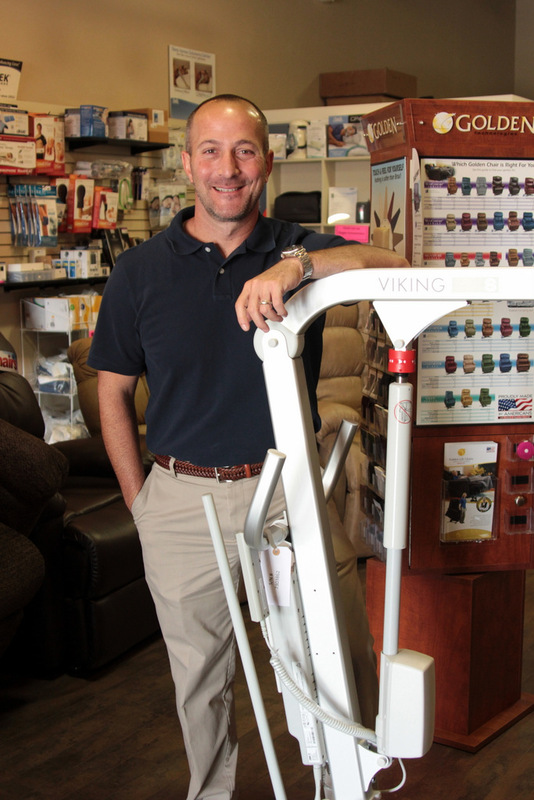 Our staff is compassionate and knowledgeable in all aspects of durable medical equipment. If we don't have something you need, please ask. We will be happy to order it in for you. Matt Cheshire is a lifelong resident of Florida. Born in Thomasville, GA and raised in Tallahassee, FL, he is a graduate of The Rovetta College of Business at Florida State University with a Degree in Finance. Matt spent a number of years in financial services before moving into the medical equipment industr. He holds a number of insurance and securities licenses and is a graduate of the prestigious Brown & Brown Insurance School. Matt left the financial world to take a position in sales & marketing for a medical equipment company in 2006 and truly excelled in the role. He was instrumental in doubling sales after just 2 years and learned all aspects of the business. 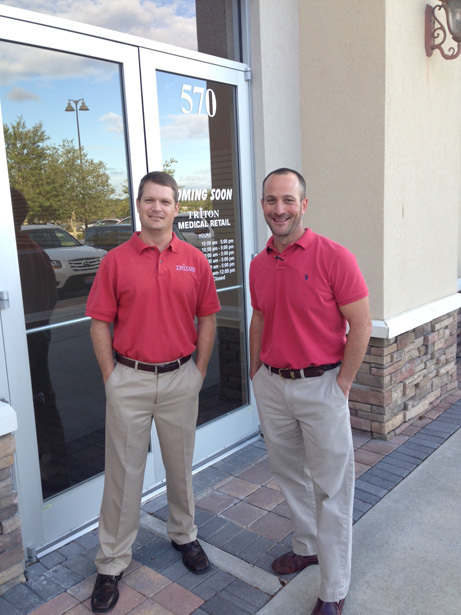 In February 2010, Matt along with business partner Sean Riley, opened the doors to Triton Medical Equipment in Ocala, FL. In 4 short years, Triton grew from a fledgling company into one of the most respected medical equipment suppliers in North Central Florida. Then in April 2014, Triton Medical Retail opened in Lady Lake/The Villages. Being a very hands-on owner, Matt has always been involved in every aspect of the business. Service and compassion have served as the foundation of the company and have been key to Triton's success. The most enjoyable and rewarding aspect of the business for Matt has always been working with our customers. He has a true passion for helping people and goes to great lengths to provide personalized, top notch service. His favorite mantra is "Our product is not really medical supplies, it's the service we give". Matt resides in Ocala with his wife Melissa and their 10 year old daughter Kylie and 7 year old son Luke. Sean Riley was born in Coral Gables, FL and has been a Marion County resident since 1974. Prior to opening Triton Medical Equipment with friend and business partner Matt Cheshire in 2010, Sean managed over 100 employees and oversaw the site development department of a large road building company for 10 years. He received his Bachelor of Arts degree from St. Leo University, double majoring in Business Management and Accounting. Sean is an Army Veteran. He served in ground operations conducting reconnaissance and combat operations in Operation Desert Shield/Desert Storm. A few of his accolades include graduating from US Army Cavalry Scout Reconnaissance School, Airborne School, Air Assault School and honor graduate of Combat Life Saver Course. He received multiple Army Commodation Medals, Army Achievement Medals, National Defense Ribbon and Southwest Asia Service Ribbon. When honorably discharged from the Army, Sean served our state four more years in the Florida National Guard. Sean and his wife, Kathy live in Ocala. They are the proud parents of daughter Ashlyne, a junior at the University of Florida and son, Tyler, a graduate of Florida A&M University. 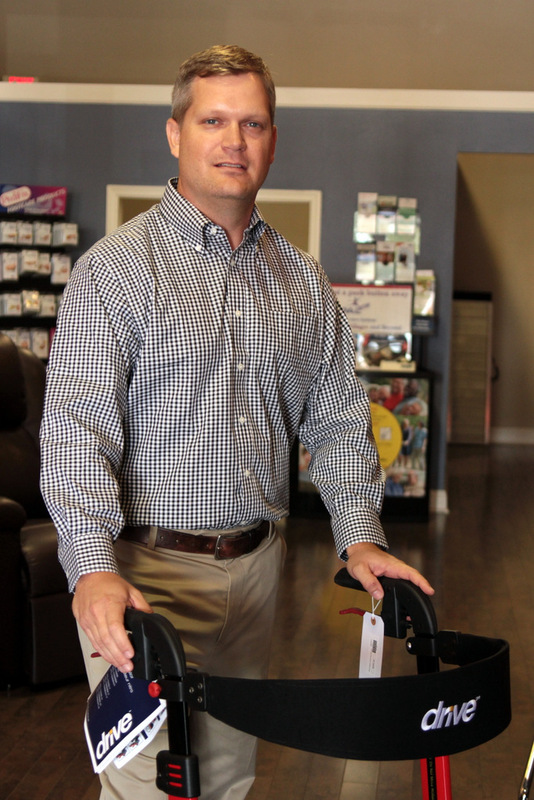 The work ethic and desire to serve others Sean acquired through service in the military carries over to his work in the medical equipment industry today. Sean truly loves people and is gifted with helping others during what are sometimes difficult transitions in life. Bruce Krall is a Florida native having spent most of his life in south Florida. He is a graduate of Liberty University with a degree in Business Management. Bruce was in the banking field for many years and started working in the durable medical equipment industry in 2004. He has a license with the state of Florida Department of Health as an Orthotic Fitter Assistant. 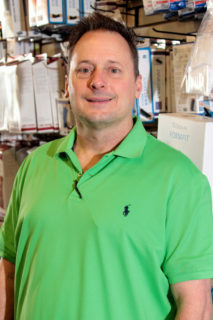 Bruce prides himself on his customer service skills, especially in the area of compression items and would be happy to help you with your medical equipment needs. Bea was born and raised in Vermont and moved to The Villages in 1999. Her work history includes various positions in the medical industry. She has been working specifically in the durable medical equipment field since 2015 and joined the Triton Medical family in 2018. Her high energy level and strong customer service skills are a welcome asset to our team. She is most concerned with pleasing our customers. 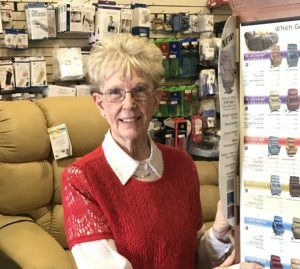 In her free time she visits her 89 year old mother and other relatives up North and enjoys rock and roll music and shows at The Sharon and the Savannah Center.